It’s very easy to verify your phone number on Junglee Rummy. Follow the steps below and get rewarded with instant cash bonuses for verifying your phone number! 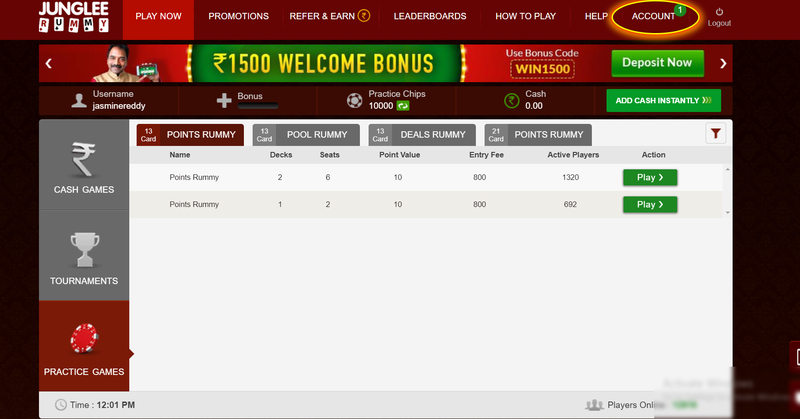 Step 1: Log in to your Junglee Rummy account, and click on the ACCOUNT button. Step 2: Click on the Verify Now link, which is at the top of the page. Step 3: Select the Verify Mobile No option. 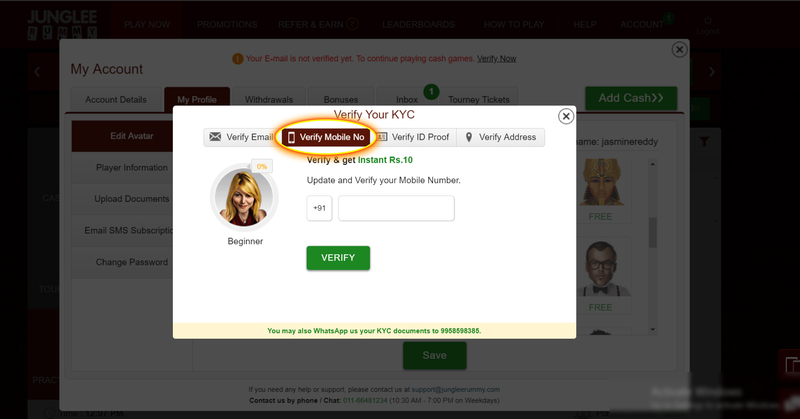 Enter your phone number and click on the VERIFY button to verify the number and get Rs. 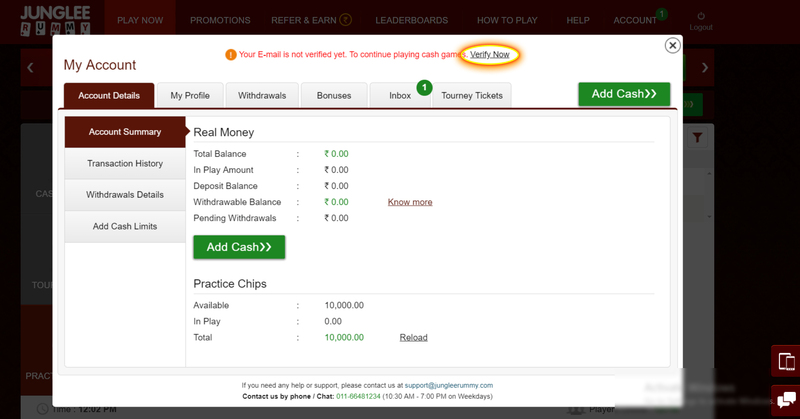 10 Instant Free Cash!